RHS’s bocce teams and fans pose outside Whitman-Hanson Regional High School. 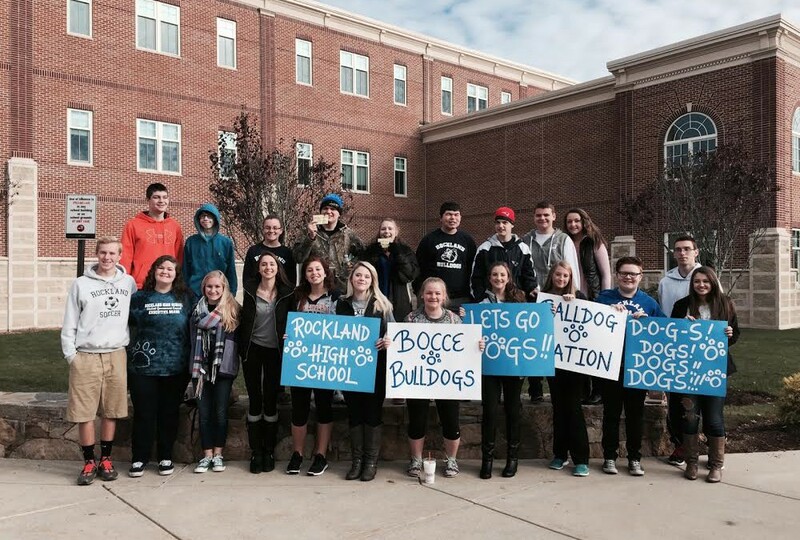 On Saturday, November 21, 2015 Rockland High School’s Special Olympians as well as members of RHS’s Student Government Council participated in a regional Bocce Tournament sponsored by SEMASC at Whitman-Hanson Regional High School. RHS Students prepare for a day of bocce. Hannah Boben and Michael Bodley dance before the games begin. Rockland students on the court ready for the games to begin. RHS’s students receive their medals.